White County has lost one of its pioneers in industrial growth and a former elected official who never retired from public service. 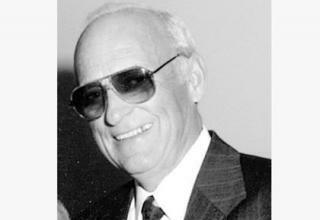 Robert Jackson “Bob” Breeding, 85, passed away May 21, 2012, at Highlands Medical Center, in Sparta. Mr. Breeding had served as mayor of Sparta and had also remained a member of White County Industrial Board until his sudden death. The best way to describe Mr. Breeding’s service to his community is by reprinting the story that was originally published in 2002 when he was selected as The Expositor’s 2003 Citizen of the Year. The humble beginnings of many great men have begun in small towns, and White County has been privileged to witness the success of those individuals who have made an impact on this community. Through years of unselfish dedication and hard work, one man’s name has become synonymous with economic and community progress in Sparta. That man is Bob Breeding. Breeding was born in White County, in 1927, where he spent much of his childhood working in the cornfields on a farm between Sparta and Monterey. His father, Sam Breeding, was a producer of hybrid seed corn and also operated a feed and seed store in Sparta. Breeding graduated from White County High School, in 1944, and two months later entered the U.S. Navy. He served in a V-12 officer’s training program at the University of North Carolina and then at Pennsylvania State, when the war ended. Breeding took his credits to the University of Tennessee the next fall and graduated, in 1949, with a degree in agricultural engineering. With his family roots still firmly planted in White County soil, Breeding went into the agricultural supply and farming business for 10 years with his father. His chosen career took him into various aspects of the agricultural industry. And during the early 50’s, he worked part-time as an auctioneer of tobacco and fresh produce in the Carolinas. He later chose to broaden his scope of knowledge. After working two years in a Sparta bank, he became a State Farm Insurance agent, in 1962, and eventually became the owner of the local agency. Breeding’s continued success was enhanced by the support of his wife, Evalie Ridley Breeding. Bob met Evalie, in 1960, when he was an area manager for Senator Estes Kefauver’s campaign against Kip Taylor. Evalie was a campaign secretary from the senator’s Washington D.C. staff and met Bob when the entourage came through Sparta. The couple married in March 1961. Bob eventually decided to run for mayor of Sparta. He gave credit to his brother-in-law, Sam Ridley, for encouraging him to seek the political office. Bob was elected, in 1969, and served two terms. 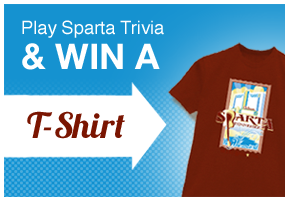 He ran again, in 1985, and served three terms and helped bring several major industries to Sparta. According to an interview, in 1988, with the Tennessee Town and City publication, Bob said wanted to keep his predecessor’s industrial recruitment efforts in the forefront, as he referred to Mose Sims, who was instrumental in major growth in Sparta. When he was asked why he ran for mayor again, in 1985, he said he wanted to rejuvenate the industrial recruitment program. Bob, along with the board of aldermen during his administration, was able to attract the Westchester Plastics Division of Ametek, which was a Fortune 500 company. In 1974, he was at the helm of recruiting Wagner Electric, which proved to be the second largest employer in White County at that time. Several new projects were implemented during Bob’s administration, including the White County portion of Highway 111. Although he was not directly responsible for the construction of the expanse of roadway, his influence in government helped provide a smooth working relationship between all entities involved in the project. Bob’s working relationship with other elected officials in the city, as well as the county, proved to be a strong factor in ensuring the growth of Sparta and White County. With a combined effort of the City of Sparta and White County during Bob’s mayoral terms, a new stadium was built at White County High School. Residents also benefitted from a new baseball field and Senior Citizens Center, with the joint endeavors of the city and county. During his terms in office, Bob helped the city obtain an Economic Development Administration Grant to build two new fire halls. He also cooperated with the county to secure a grant to build the former jail, which was located on South Church Street. On Aug. 31, 1995, Bob retired from State Farm Insurance, after 33 years of service. Bob’s list of accomplishments covers several decades. He was director of Sparta-White County Chamber of Commerce, president of Sparta Jaycees and president of Sparta Rotary Club. He has been an integral part of development in the public sector of White County. In 1959, he was elected as a delegate from White County to the Tennessee State Constitutional Convention. From 1959-1965, he served as the first chairman of the Government Housing Authority and continued on the board until 1969. During his term as chairman of the Utilities Board, 1973-77, he led the effort to construct a dam on Calfkiller River, which ensured sufficient water supply for the growth of the city. This energetic servant of the people currently serves on the White County Industrial Board and Senior Citizens Board. He is also chairman of the YMCA Board of Directors. With the help of YMCA board members, Bob’s dedication, strong leadership and countless hours of supervision have brought about many changes. With great admiration, love and respect, Evalie Breeding also spoke of her husband’s life and his accomplishments. In an Expositor interview with Bob upon his retirement from State Farm Insurance in 1995, he expressed his affection for the people of White County. “I always said when I was mayor and recruiting prospective industries to come to Sparta that the greatest asset here was the people,” he said. Funeral arrangements can be found on page 6A of today’s Expositor.